AgriSafe is dedicated to training health and safety professionals who are prepared to serve the unique health care needs of farmers. We utilize innovative technology to deliver the best training by experts in the field. Looking to improve your professional knowledge without having to travel? 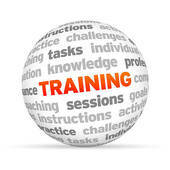 Access our live trainings through AgriSafe webinars which are offered several times a month. Most trainings are scheduled over the noon hour (CST)- so have lunch and learn with us. Access trainings when the time is right for you. Our training options allow you to view recorded webinars on the device that meets your needs. The AgriSafe Nurse Scholar program is a free distance learning opportunity for rural nurses. A total of 18 hours of training, provided by experienced health & safety educators, will increase nurses' knowledge base in identification and assessment of diseases related to agricultural work exposures (CNEs are included as part of the course). Offered either as an onsite training or webinar, AgriSafe training offerings can improve your competency in the field of agricultural health and safety. Expand your knowledge of agricultural health and safety by attending a 35-40 hour credit course offered at several Colleges and Universities across the United States. These trainings are endorsed by AgriSafe because they meet the unique training needs of rural health professionals.